I apologise to my pacifist friends for the foregoing military metaphor. It arises not from chauvinism, nor from any desire to glorify militarism, which (in common, I think, with all those splendid fellows, my seniors, who were in the A.I.F. ), I profoundly loathe and detest. The A.I.F. was the outstanding non-conscript, civilian, democratic army of the Great War: it defied every precedent regarding soldiering, and put militarism to ignominy by its examples of battlefield discipline. The men of the A.I.F. were worthy of note, not as mere soldiers, as cogs in a military machine, but as men, as civilians who went willingly into war from a conviction that their cause was just. That they may have been proved wrong in this conviction by subsequent events does not alter the fact that they volunteered, and were never conscripted, to fight in a cause which they believed to be right. Neither does it alter the fact that, having become thus organised for a purpose into an army, these average Australian civilians made history — as their late enemy, and all their allies, well know and admit. Made history — not jingo death-and-glory history, flag-flapping history, chauvinistic history — but a new kind of history, our history, of special significance to us, a history founded on individual initiative which became an astounding collective morale. Peeling all chauvinism off the history of the A.I.F. (which is not difficult), we need with the utmost care to study that turning-point in our national life, 1914 to 1918, in its moral, its psychological, its national aspects. 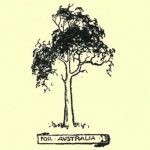 The story of the Australian soldiers on Gallipoli, in Palestine, and in France, should be told, in precise detail, to all oncoming Australians, not in glorification of militarism, but as the reverse: as a lesson in self-imposed individual discipline, comradeship, the superior value of the individual man, of individual initiative and self-respect. And also it should be taught as a warning to the nation never to be fooled again into participation in a war of European conquest, to keep out of other people’s brawls; to be prepared, if necessary, to defend our own soil against any invasion of any kind; to be prepared (as W. M. Hughes told them at Versailles) to “defy the opinion of the whole civilised world,” if need be, in defence of our own soil and our right to develop our own new civilisation here. If we never had a history before 1914, let the imported professors observe, the A.I.F. gave us one, from which we suddenly perceived that we are indeed a Nation, with our own permanent quality. And let our timid intellectuals observe that, if the democratic spirit of the A.I.F. still lives (as, of course, it does) the would-be Fascists will get the surprise, the biggest bump of their lives if they ever try seriously to impose a military, or semi-military, regimentation upon Australian civil life. These Fascist tykes, who boast about the A.I.F. as though it belonged to them, are undermining all that the A.I.F. established and fought for: the right of an individual Australian to think and act for himself. The tradition of the A.I.F. will almost certainly, I believe, defend us against the extremes of Fascism should the nasty little plotters ever screw up their courage to the point of putting matters to the test. The Heil Hitler buncombe which goes with Fascism will be treated in Australia with the contempt such preposterous saluting and goose-stepping deserves. The only danger is that the nation might slip into loss of individual liberty by slow degrees, or be flummoxed into it at some false crisis (such as when Premier Lang had to close the bank). It is the duty of those who can think nationally to define now clearly what is meant by Australian liberty and democracy and Australian tradition, to keep watch upon the sneaking little Fascists and bureaucrats, and keep the nation warned against them, and against all who would fetter or restrict ideas, or the flow of ideas, in the Commonwealth. With the spirit of the A.I.F. still in the land, what need is there for an Australian to fear proclaiming his Australianism? The “Diggers” were never ashamed of being known as Australians: they found their nationality during the ordeal of war. Let our intellectual defeatists remember this. There is no need to be ashamed of Australia: we have qualities. There is no need to ape English “culture” any more than there was need for the A.I.F. to imitate English army parade-ground spit and polish. We can establish our own culture, our own discipline, our own morale. We shall not be respected until we do so. Let our lurking intellectuals have no fear in resisting Fascism, tyranny, commercial hegemony, the Rule of the Smug, and imperialist permeation, wherever they find it. The common man, the typical Australian, is a democrat, a free-thinker, an individualist to his core, a believer in Australia. 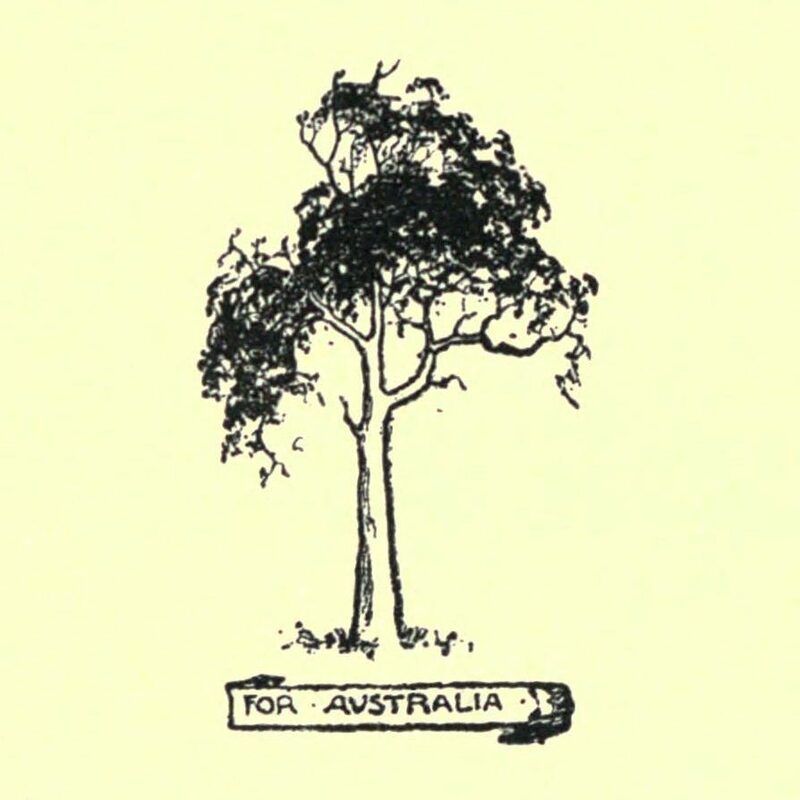 The common man, the public, the allegedly rough and crude “Diggers” and their sons and daughters, will defend Australian freedom whenever they are called upon to do so, and will follow the intellectuals whenever they decide to give a strong and unwavering lead in the matter of proclaiming “Australia First” as the only constructive national idea. I’m hoping this site is still active. Can you give me page numbers for this chapter? I’m looking to use part of it as a reference in some writing I am doing, and wish to place in an accurate/complete source. I should clarify my previous post! is on page 133 ( ie the last part of the essay)? ?